Custom Peel and Stick Growth Charts – Now Just $13.99 – Save $14! Custom Peel and Stick Growth Charts – Now Just $13.99 – Save $14! Use Code: GROWTH14. 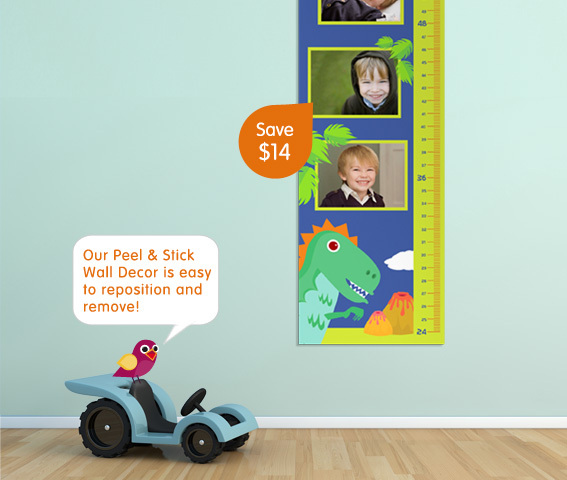 This Easy To Reposition and Remove Growth Chart Can Be Completely Customized Using Colors, Art and Photos. Limit 3 Growth Charts at Discounted Price.